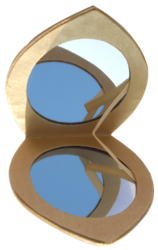 Leading Manufacturer of compact mirror and vanity mirror from Agra. 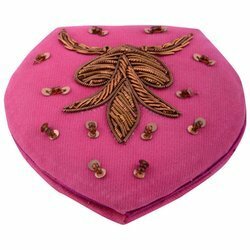 We are engaged in creation of Compact Mirror since last many years and having expertize in this. These mirrors are very unique in design and a large collection of designs. These are made up of premium quality raw material and having great strength. Our clients have applauded us for our collection. Clients can get these mirrors from us at as very economical price. Keeping in mind the ever-evolving demand of our valuable clients, we are providing an exclusive range of Vanity Mirror. We have a great team of innovators who always try to attract our clients by new designs and supreme quality. These mirrors are very rare collection of compact mirrors. Our clients can get these ornaments from us at optimum price. Looking for Compact Mirror ?